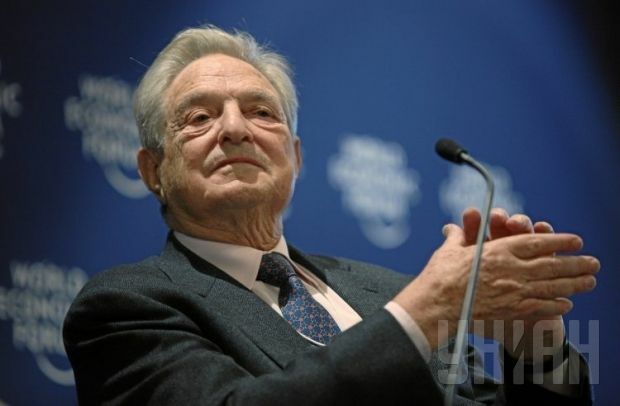 U.S. financier George Soros is trying to raise funds to support Ukraine, National Bank of Ukraine Governor Valeriya Gontareva has said on Ukrainian television’s Pershiy Natsionalniy channel, according to online news Web site LB.ua. "I’m a member of the committee of the reforms, and I have a team of volunteers – we’re drawing up a Marshall plan [for Ukraine],” Gontareva said. “Recently I presented it personally to Mr. Soros. He is interested in it. We expect that we will gain money for its realization. He is going to conduct a donor financial conference on this issue." Soros in late October published a column in the New York Review of Books magazine in which he called for the IMF to increase the amount of its financial aid to Ukraine. He estimated that Ukraine would need $20 billion. Soros is one of the richest men in the world. His fortune is estimated by Bloomberg to be worth $26.1 billion. As reported earlier, a financial donor conference for Ukraine is scheduled to be held at the beginning of 2015. Ukraine hopes to gain from it EUR 11 billion for the reform and restoration of its conflict-hit Donbas region.